It is a rehearsal for HANSEL AND GRETEL at Active Fun in BGC. Six boys and Four girls ages 10-13 are sitting on the floor in one corner of the rehearsal hall watching and waiting to take their turn. They are the stars of the show and they are raring to go. There are six sets of boys and girls who will play the titular siblings. There has to be given the rigorous schedule of performances ahead of them. A Repertory Theater for Young Audiences (RTYA) run usually spans five months with over 120 shows sometimes at rate of two to three shows per day. So it is going to be a bumpy ride for these children – most of them fledglings who are performing professionally for the very first time. But these kids are not just ready and willing to do what needs be done for the love of theater. They are already doing what needs be done. Many of them shuttle between home and school and rehearsals every day to prove that love. Take the 12-year old twins Tory and Rayne Cortez who play Hansel and Gretel respectively. They start their days early in the morning, travel from their home in Pasig to Manila Waldorf School in San Mateo, Laguna for classes and then rehearsals at Bonifacio Global City. And they are not the only ones. Ashlee Factor, one of the Gretels, lives in Binagonan, Rizal and some of the boys who play Hansel also live outside the Greater Manila Area -- Mari Yapjoco is from General Trias City in Cavite, Allen Orolfo from Biñan, Laguna and Joshua Nubla from Caloocan. Given the crazy Metro Manila traffic, we all know how much time that entails… and how much passion and dedication, discipline and hard work is needed to be willing to do that every single day. And they come. This is, after all, a dream come true for them. Most of them want to eventually become professional actors. Some already are. Though this is his first professional theater gig, 11-year old Joshua Nubla has already appeared in indie films and teleseryes and has a major movie coming up. Ashlee has played a key role in Rep’s SCROOGE, the lead in THE SECRET GARDEN as well one of the dwarves in RTYA’s SNOW WHITE. Ella Gonzalez was also a dwarf in RTYA’s SNOW WHITE while Mari has acted in Resorts World’s Full House Theatre Company productions of SOUTH PACIFIC, NOLI ME TANGERE THE OPERA and THE KING AND I.
Newbie or not, all, but one, have been preparing themselves for a life in theatre. For Joshua, theatre is a move to broaden his horizons and hone his chosen craft. HANSEL AND GRETEL is his on-the-job training, so to speak. The other nine have been taking workshops with established theater companies for years. Ella Gonzalez, Allen and Nathan Flores trained under Luigi Nacario of Kids Acts Philippines; Mari studied at Nine Works; Andre Ruelo spent 5 summers with TRUMPETS Playshop; Michelle Cornejo, Tory and Rayne started with TRUMPETS then tried out the Rep Summer Workshop; and, Ashlee is also a Rep Summer Workshop graduate. It is clear that all these children have been bitten by the theatre bug but aim to do more… be more! Ashlee wants to follow the career path of her inspiration, Lea Salonga, but would rather portray Elphaba in WICKED than Kim. Tory – who just tagged along because his sister Rayne wanted to take acting lessons – is now hooked himself and wants to play the title role in PIPPIN someday. Rayne would really rather take on the “evil roles since they are so much more interesting,” she says. Meanwhile, she is determined to continue taking acting, singing and dance lessons. Joshua would like to have a career in both film and theater - one for its popular appeal and the other for the soul. Michelle sees playing the roles of Little Red Riding Hood or the Baker’s Wife or the Witch in INTO THE WOODS, Sandy in GREASE, Miss Hannigan in ANNIE and Eliza Hamilton in HAMILTON in her future. Mari considers the theater as his home and looks forward to owning the role of the Engineer in MISS SAIGON -- although for now he is content to be Oliver. Nathan, who started acting when he was 3, loves it because “you get to be someone else.” He wants to be that someone whose name is up in lights on Broadway one day. Allen, Andre and Ella are aiming for the more adult roles (i.e., the leads) in RTYA’s productions – Aladdin or Peter Pan for Allen, the Tin Man in THE WIZARD OF OZ or the Mad Hatter in ALICE IN WONDERLAND for Andre, and Snow White for Ella. That’s just for starters though. They are hoping these roles will open doors to other roles with other companies in other countries. All – bar none – dream of becoming professional theatre actors when they grow up! I remember a different set of children many years ago who had similar dreams. They too showed the same passion and dedication for theatre that these children have. They, too, were disciplined and worked hard. They were the Wilson children – Trixie, Monique, Gina and Jamie – who started doing ensemble roles from a very early age. There were no workshops then but they learned on-the-job and at the feet of and alongside some of the biggest names in Philippine theatre. They went on to not always bigger but certainly more mature roles in the years that followed. Monique “graduated” to playing lead roles while still in her tweens and made it all the way to the West End as Kim in MISS SAIGON by the time she was 18. Trixie would be a mainstay in the ensemble while Gina would be a standout in any role assigned to her – big or small – until she was cast in MISS SAIGON Germany. Jamie started at 7 years old as Theo in Rep’s production of PIPPIN and, in his teens, became lead in the Rep productions of BRIGHTON BEACH MEMOIRS and BROADWAY BOUND. Trixie is now a banker in Connecticut. After MISS SAIGON, Gina married, now lives in Germany and is a mother of 11-year old twins. Monique – after her stint in London, founded the New Voice Company here, taught acting in Singapore and London and is currently Director of One Billion Rising, a worldwide campaign to end violence against women. It is Jamie who has become totally immersed in theatre. He is not only an actor, but is also an assistant director, a technical director – a veritable general-jack-of-all-trades for some of the biggest theater companies in the Philippines – Actors Actors Inc, World Theatre Project, New Voice Company, Atlantis and, of course, Repertory Philippines. Though the siblings’ paths have diverged and some now live a life totally removed from theatre, they still profess a love for it and acknowledge how much they have learned and grown from their experiences. 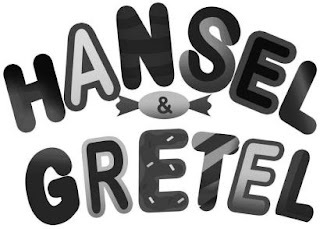 Who knows if the children of HANSEL AND GRETEL get to realize their dream? If Ella will opt to be a doctor or an actress? Or if Nathan will make it all the way to Broadway? Whatever the future holds, one thing is sure -- they will learn valuable life lessons in theatre and from theatre just as the Wilson children did… that passion and dedication, discipline and hard work will take them far no matter what career they eventually choose. 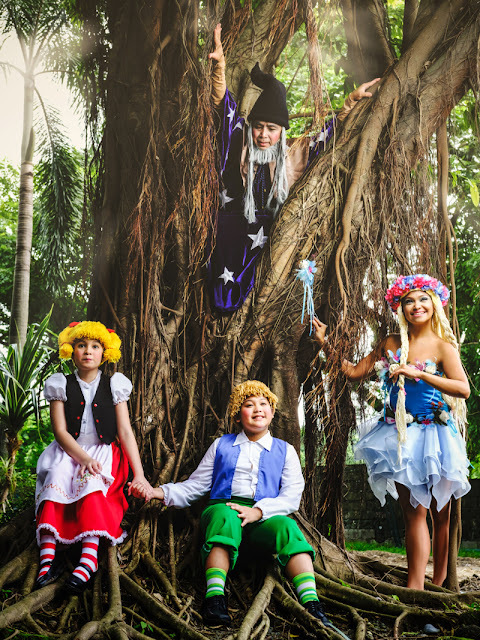 Being a part of HANSEL AND GRETEL has opened a door to endless possibilities for these children. It is a beginning. And what a beginning it is!